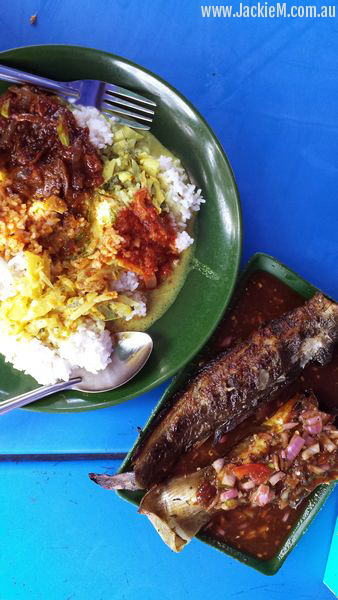 I love eating Ikan Bakar (Malay Grilled Fish) when I’m in Malaysia – we tend to use whole fish there – and they’re often wrapped in banana leaves and cooked on a charcoal fire. 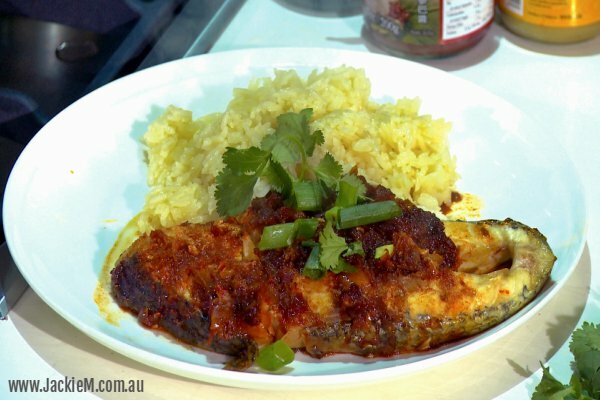 One of the popular toppings used in ikan bakar is a sambal paste – and in this Fish and Hunt Australia segment, I used a Nasi Lemak Sambal by Dollee as a super quick and easy paste for your own home-made Malay Ikan Bakar. I baked this in the oven wrapped in foil but you can also grill it on a barbecue or open grill and of course, if you can get your hands on some banana leaves – use them ☺ I also added a couple of dashes of Amoy Light Soya Sauce before cooking. 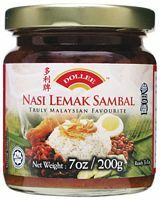 For the rice, I used Dollee’s Hainanese Chicken Rice Paste which you absolutely have to try if you’ve ever wondered how to cook the delicious garlic & ginger rice that comes with Hainanese Chicken – I personally think it tastes better than a lot of those served at food outlets. Click here to download recipe and where you can buy these products.